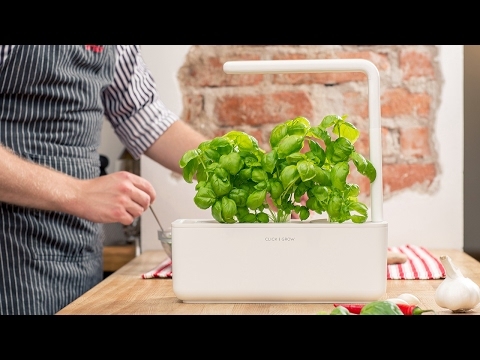 The Click & Grow indoor garden starter kit comes with everything you need to grow delicious, fresh herbs year-round. 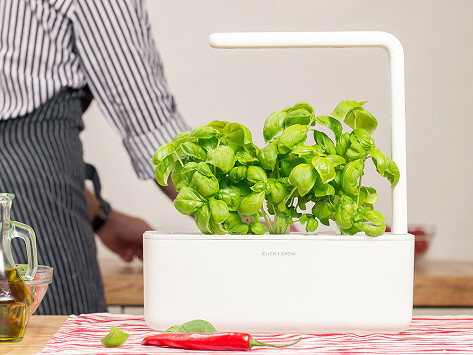 You don’t need a green thumb and you don’t need much space for this little herb planter, which uses NASA-inspired technology to guarantee delicious results. Dimensions: 11.8" x 4.7" x 13"
Grows fast, looks cool and now I have fresh basil in winter right from own indoor, kitchen garden. Buying as a gift for my favorite cooks.